Photovoltaic systems, or PV for short, are probably the fastest growing energy provider worldwide which relies on an almost infinitely available source of renewable energy – light from the sun. The sun is predicted to keep shining for at least another 4,000 million years and provides something like 10,000 times as much freely available energy from sunlight as is used by the whole of humanity every year. This makes any system of converting sunlight into electricity both environmentally friendly as well as economically sensible. The word “photovoltaic” combines the Greek root word for a packet of light energy (photon) with the Latin for electricity (volta). PV systems use a variety of light sensitive materials to convert light energy into usable electrical energy. 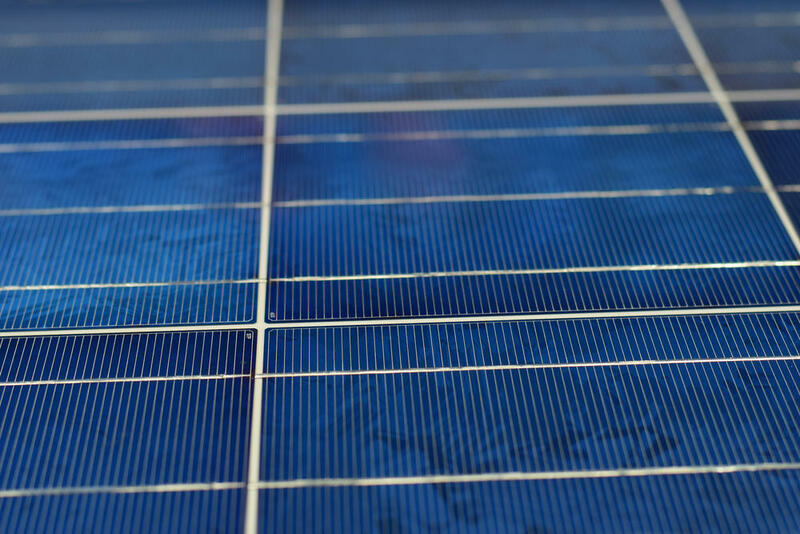 The majority of PV systems use a very pure form of silicon as the light sensitive material, although research into materials that can convert light more efficiently is ongoing. The greater the uptake of PV systems for energy production, the cheaper the systems are likely to be, the more competitive they are going to be compared to traditional sources of electrical energy such as fossil fuel combustion as well as the faster research is going to come up with even better ways of fabricating efficient PV systems. PV solar cells and panels were first developed for situations where electricity was needed in remote places, such as space craft and lighthouses or light beacons at sea. Soon, it became popular for houses and buildings such as farmhouses or barns that were far away from the grid or where it was prohibitively expensive to connect to the grid. The use of solar arrays has now mushroomed and they can be seen in many locations which are no longer remote, such as in towns and cities. Whole roofs may carry considerable numbers of solar panels and these panels may provide the entire electricity needs of the home or building on which they have been installed. There are several reasons why solar energy has become so popular and is likely to keep growing over the next two decades. One reason is a general recognition that the days of cheap and abundant fossil fuels are numbered, or at least it is recognized that fossil fuels will diminish in availability in the future, driving the cost per unit of electricity provided by them up faster than at any time in the past. A second reason is the attention given to the effects of fossil fuel combustion on the world’s atmosphere and a global awareness of the potential effects of rapidly increasing climate change. While substitution of fossil fuel generated power by solar energy is not a complete answer to the planet’s environmental woes it certainly will be part of the response. Thirdly, the unit cost of PV systems has been dropping fast. This is partly a factor of larger scale production and partly because of better technology. The unit cost of electricity generated by solar panels has dropped by at least 50% over the last decade, making it more competitive when compared to traditional forms of generating electricity. In many countries solar installations have been encouraged by subsidies and tax breaks, but there is recognition that the industry will soon be able to support itself against conventional electricity sources without subsidies. Fourthly, the adoption of PV systems has been welcomed by many consumers because it allows them to control their own power supply and make them more independent of utility companies and the grid in general, even if they are still connected to the grid and may even be able to sell surplus electricity to the grid at times when the days are long and sunny. To many people solar energy helps to break the monopoly power of utility companies, which in some countries seem to have lost no opportunity to keep raising the cost of power well ahead of inflation. Most home based PV systems consist of a number of solar panels, or just one panel, connected to a battery or a number of batteries. The batteries then supply electricity direct to the appliances used. In some situations, the electricity is used at a low voltage such as 12 or 24 volts. This is typical in RVs, vehicles and boats where the electrical appliances may run on direct current at 12 or 24 volts. Many of these vehicles may also have an inverter which is connected to the battery and converts direct current (D.C.) to 110 volts alternating current (A.C.). Many common electrical appliances normally run off A.C., hence the need for an inverter. For home based solar installations or installations that have been fitted to a spare roof on a school building or factory or wherever else may be appropriate, then the inverter is a standard feature and all electricity is 110 volts A.C. Where homes or buildings are connected to the grid, there will be a device which connects the two systems and allows power going either way to be measured. In many, if not all states where solar energy has become popular, utility companies may be required to monitor energy flow in both directions so that credits for power supplied to the grid from the solar installation can be accounted for. This remains a very important incentive for families to retro install solar energy systems on a suitable roof on an existing home. PV cells and panels are still in use in many other applications. They can be found on calculators, torches, street lighting, marine light beacons, garden lamps, space craft, remote campsites and cabins and are being creatively designed so that their use can be extended wherever they may be useful. PV systems are increasingly being used to power whole communities. They have an obvious value in many third world locations where a village lies far from any source of electricity and the possibility of generating power with a conventional diesel generator is seen as prohibitively expensive. However, it is not just impoverished communities that are seeing the benefits of electrification by solar energy. The number of large solar farms and solar power stations is growing rapidly, especially in locations that get year round high intensity sunlight such as the desert regions of California and Nevada. Some of the larger power stations using thin film PV cells are capable of generating over 500 MW of power.